It’s no secret that writing your books in a series is an effective way to grow a reader base. That’s not to say standalone books don’t work – but you’re making life a lot easier for yourself if you have multiple books set in the same universe with the same characters. The theory is pretty simple – if a reader likes book one, they’ll like all the other books too. So they’re more likely to buy them, with less effort required from you (“Hey, you already loved my first book – the next six are exactly the same experience!”). Works for Disney. Works for McDonald’s. Works for books. Give readers (customers) what they want and what they expect – then do it again and again and again – and good things happen. But, like anything that’s worth doing, it’s not quite as simple as you might think. When you choose to write in a series, how do you keep things fresh? How do you plan out a story arc that covers multiple books (to keep readers interested) while still making sure each book can stand on its own with a definitive beginning, middle, and end? How do you show character development over one book, then over multiple books? How do you build your universe convincingly? How do you make sure people starting at book three don’t get confused by events that happened in previous books? How do you launch a series? How do you keep sales going? How do you brand them so readers know – just by looking – that your book is part of the same series they’ve already been enjoying? So, today, I want to share some insights with you from Cozy Mystery author Peter Bartram. Peter made the (unusual) decision to write, publish, and launch a trilogy of books all at once. Peter enjoyed a solid launch (13,000+ copies downloaded and close to 800 copies sold), and his book sales quickly settled in at around $400 a month thereafter. More importantly, he did so with a modest email list (of around 2,500) and zero ad spend. Essentially, Peter’s approach is something you can implement on your own – without any fancy software or a huge marketing budget. This post will break it all down for you. WHY LAUNCH ONE BOOK WHEN YOU CAN LAUNCH THREE? In July 2017 I launched a trilogy of books on the same day – the Morning, Noon, and Night Trilogy of my Crampton of the Chronicle series. Three books written and published all at the same time. I found launching three books all at once more than three times as tough as launching one book at a time. But it’s proved well worth the effort and I’m going to tell you how I did it. Before the trilogy launch, my Crampton of the Chronicle crime mystery series (check them out here) had only a small online presence. There were two full-length novels and a free book of short stories which had a link to a “magnet book” on the Crampton website, to entice readers to join my email list. So, my Morning, Noon & Night trilogy immediately expanded the Crampton universe from four to seven books. Almost double the presence in a single day. Big Bang Theory at work in the book world. Before the launch, I had thought self-publishing paid-for (rather than free) books might be a risk. My two novels (and a third that was published in November) together with 21 earlier non-fiction books, had all been published by Pukka Publishers. The kind of publisher who takes you for long lunches in posh restaurants. But I needn’t have worried. In the first two weeks, the new trilogy sold more copies than the most recent Pukka published novel had shifted in a year. And I’m loving life as an indie author. I’m currently working on a stand-alone novel which I’ll self-publish this spring. But after that, another trilogy is definitely on the agenda. And this time I’ll learn lessons from the first trilogy to make it even more successful. So what are those lessons? The first is that good trilogy ideas come in threes. No surprises there. You need an idea which splits down naturally into three books. It’s about getting the concept right. And let’s be honest. We write to make money. At least, I do. I’ve been a professional writer and journalist all my working life. So the trilogy idea I wanted was one where creative ideas sat happily alongside commercial potential. My Crampton of the Chronicle series is set in Brighton, England in the 1960s – the Swinging Sixties. (If you remember the Swinging Sixties, the saying goes, you probably weren’t there). All the previous books had been set in Britain. I wanted to boost my sales in the United States. So I considered setting one of the three books in Brighton Beach, New York. But would this upset the core of existing Crampton fans? I put forward the idea in my monthly newsletter and asked readers to vote on whether they’d like a book set in America. And they gave the idea a thumping majority. I plan my books scene by scene before I start writing them. And this was the first time I’d planned three books at once. I had to find a way to structure the books so that readers would find each one satisfying in its own right but at the same time want to read all three. With the novels, I’d been used to planning a story arc which began at the start and finished at the end. Because I was splitting the story into three separate novellas, I needed four story arcs. The first covered all three books and took the central mystery through its various stages. But each book needed its own story arc so that it began and ended in a way that readers would find satisfying. So as crime mysteries are generally built around murders, I arranged for one murder to take place and be solved in each of the books. At the end of each book, the motive for the murders – and how they are linked – is exposed. Result: all the strands are drawn together at the end of the third book in the trilogy. When I’d written the three books, I sent the draft to my small group of “advanced team” readers in Britain, the United States and Canada. They made a few small criticisms, which I took on board, but overall gave the books a solid thumbs-up. One or two warned that some readers would be irritated by the fact that not every strand of the trilogy’s over-arching story arc was wrapped up in books one and two. It was something that was on my mind too. I overcame the problem of readers coming to the trilogy in books two or three by weaving key elements of the plot and characters in the previous book into the early action of the succeeding book. I also wrote a short “author’s introduction” at the start of book one explaining how the trilogy worked. And I added a note at the beginning of books two and three encouraging readers to read the books in the right order. Although one or two readers have grumbled about not getting everything in one book, the series has been well received. So far, book one has 43 reviews averaging 4.2 on Amazon.com and 56 averaging 4.3 on Amazon.co.uk. The scores for books two and three are even higher. So the first lesson is that writing a trilogy is more than just writing three books. It’s about planning and writing three books which hang together so tightly readers will want to read all of them. But the second lesson is that nobody will buy and read any of the books unless they know about them. And when they do know about them, one of the first things readers check out is what they’re getting for their money. I billed the trilogy as novellas but I wanted readers to feel they were getting a worthwhile read. So the author’s introduction pointed out that the trilogy would give them at least nine hours reading entertainment, if they read at average speed. Each novella comes in at just over 30,000 words. The whole series is 102,000 words long. In Amazon e-book terms, that translates into three books of, respectively, 158, 160 and 179 pages. Given that e-books seem to be getting shorter, I think readers do look at the page length information when deciding to buy. I felt a book with more than 150 pages would have credibility with readers. For the trilogy we needed to find three titles that would fit logically together but also create a sense of momentum. And an evening newspaper does that every day with its different editions. So we called the books Murder in the Morning Edition, Murder in the Afternoon Extra and Murder in the Night Final. With the titles chosen, the next element in the marketing mix was cover design. I worked with photographer and designer Barney Skinner who played a big role in the marketing campaign. We wanted to create a cover which would have a distinctive personality, but at the same time work well online. Most of the time on Amazon and other book sites, covers are shown as “thumbnails” – a small-sized photograph. The trouble with many covers is that they are too complex to work as thumbnails. Usually, this is because there are too many images in them or the chosen images are too complex or detailed. We decided to have covers which featured the book title in bold red at the top and with a simple image which evoked the morning, afternoon or night themes. And as we were producing cozy mysteries, we didn’t want any images that were gruesome or disturbing. In the end we decided on a cup of coffee (with a dribble of blood!) for Morning Edition, a delicious pastry (a strawberry oozes blood) for Afternoon Extra, and a glass of beer (with potato chips in a pool of blood) for Night Final. The images were presented against a background of bleached out newspaper cuttings to reinforce the background to the stories. Pricing was the next marketing element. We wanted to make it as easy as possible for people to read the first book and decide whether they would like to move on to books two and three. So we decided to make book one “permafree” through price matching. We used Draft2Digital to create the price matching sites. We added the first chapter of book two as a bonus chapter at the end of book one. (And the first chapter of book three at the end of book two). These were going to be in the “read inside” feature on Amazon anyway – but it made it easier for people to buy the next books straight away. We decided to price books two and three at $2.99 on Amazon.com and £1.99 on Amazon.co.uk. This seemed to be the market price for cozy mystery books of about the same length. The dollar price was also the threshold where 70% royalties (as opposed to 35%) kick in. So an important point to consider. We took a lot of trouble over the book descriptions on Amazon. We wanted the description to help readers catch the flavour of the books without getting into complex plot descriptions. The aim was to make readers feel they were going to be personally involved with the hero in his adventure. So each description starts with a question. For Murder in the Morning Edition it is: “Don’t you just hate it when you get the afternoon off – and then find yourself chasing a train robber with his loot? Join ace crime reporter Colin Crampton and his feisty Australian girlfriend Shirley Goldsmith as they embark on a new adventure…” Why wouldn’t you want to join them? We used Amazon’s series marketing feature so that readers could buy all three books with one click. We found the series feature quite simple to set up – and it has proved a key success in sales. The launch strategy was modest (I think we were both exhausted by the time we got to it). We ran a series of e-mails to the Crampton of the Chronicle Readers’ Group. The e-mail database had just over 2,500 names at the time (it’s since grown to more than 3,000). I pushed the series on my Facebook and Twitter pages and I contacted a number of book bloggers who mentioned the book. That’s it. Next time, we’ll do a lot more. We’re planning to build a separate marketing database which will enable us to e-mail book bloggers, reader reviewers, newspapers and other key groups. The long-term aim of the marketing was to keep the book selling over time. To that end, we have two “streams” which refresh book sales. The first of those streams is the “permafree” Murder in the Morning Edition. The book has been in the top 100 of Kindle’s free cosy murder mysteries in the UK since it was launched – in the top 20 for much of the time. The second stream is the series of auto-responder e-mails which new readers receive over the first month after they’ve signed up to the Crampton of the Chronicle Readers’ Group. Each of the e-mails provides a fresh view of the trilogy with a click-through link to buy. The trilogy was launched in the middle of July and sold 762 copies of books two and three in that two-week period. During the same timeframe, 13,889 copies of book one were downloaded. Six months after launch, the trilogy settled into a steady sales pattern of around 200 copies a month (around $400 royalties). Free downloads of book one hover around 1,000 a month. Given what we’re doing, I think that activity level can continue almost indefinitely into the future. I’m planning to use the next trilogy to launch a new series. This time, each of the books will retain a strong link of the same characters and locations but be based on stand-alone stories. And we’ll also publish them in paperback simultaneously. That will make it easier to get reviews and boost marketing in other ways. Is the trilogy a good route to go? Yes, if you want to expand your presence online and ramp up sales. Go for it! Peter Bartram began his career as a reporter on the Worthing Herald newspaper before working as a journalist and editor in London and finally becoming freelance. He has done most things in journalism from door-stepping for quotes to writing serious editorials. Peter’s latest trilogy of novellas, The Morning, Noon and Night Omnibus are now available – with the first book free – on Amazon. I love Peter’s rational and structured approach to the launch of his trilogy. It’s all-too common for authors to over-indulge in “marketing stuff” during a launch, and get bogged down with strategies and tactics that flat-out don’t work. With a minimal budget (and zero ad spend) Peter has enjoyed a solid launch and is now bringing in passive income every month from his backlist. 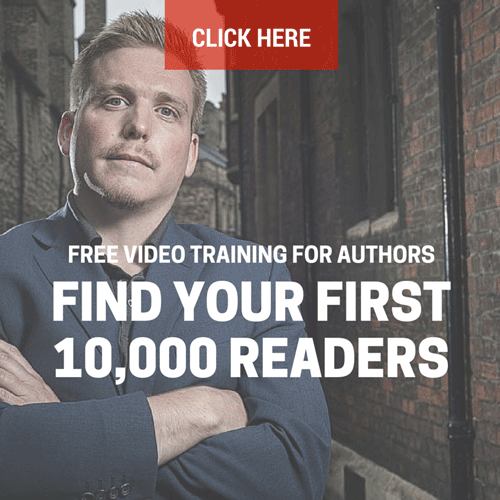 This will only increase over time as his catalogue increases and his email list grows (note – Peter is using our Reader Magnets strategy to grow his audience and sales while he’s busy doing other things – to find out how to get that all set up, join one of our free online workshops right here). In short, Peter’s approach is something that is very much a replicable process. And if you’ve got any questions, or want to share some launch experiences of your own, drop a comment below – we’ll read every single one and reply when we can. Question: What book launch experiences have you had? What have you done to get your books “out there”? Leave a comment below! Just needed to thank you both for this informative and encouraging post. Unfortunately, I have nothing interesting to offer by return but, I can thank you so – a sincere – Cheers! Thanks, Lyle – glad you liked it! I think you hit the nail on the head – publishing books is a great passport to supporting your lifestyle, which is (of course) different for everyone. Keep up the good work! I am following most of you suggestions, but I was planning one book at a time. Mine is a series, a novella, 30,000 words, plus a minimum of a trilogy beyond that. Perhaps I will follow your plan more closely at that time. Great information. Thank you so much! This is really interesting. I think the arc that runs through the stories is a brilliant idea. I launched by last two books with a similar strategy, but nowhere near as much success. Next time I shall try stacking them up and releasing several at the same time. Thank you so much for sharing. Good luck with your new launch. The key to launching the three books at the same time is that you can have the first one free and get people to buy the other two at the same time. I really needed to read this. I’m working on my own launch of multiple books and these are great points. I would like to know more about your experience with draft2digital. I reviewed their website but I’m not sure how their tools work. Ex. Do they keep all the digital books on their site and can you download your digital files back to your own hard drive? I’m not an expert in Draft2Digital. But it seems to be just a question of loading up the book in the agreed format and then D2D punts it out to around eight other book sites who each publish it independently. Not sure whether you can backload files from D2D. I haven’t hâd any succes bere inbmy country România. So i put IT on Amazon (english version). Its my first book. I Hope i will earn experiențe. Have any advice for a new writer? The key for any writing is to stick at it. Many of the writers who succeed are the ones who don’t give up. I agree with you that planning story lines in a series is very important. Good luck with all your writing projects, Amelia. Your books sound very important to me. They are eye-witness material that historians of the future will draw on. Yes, publish three books rather than two! Good luck with the Epic Fantasy, Deborah. I agree that longer books require a different marketing approach. My full-length Crampton novels generally come out at around 90,000-100,000 words each and we sell them as stand-alone books. But we’re now experimenting with Amazon’s series market feature and getting some encouraging results. You’re right that a trilogy not always appropriate for non-fiction. Having said that, I wrote a non-fiction series of training courses on how to write and place articles in newspaper and magazines. So a trilogy can work in non-fiction in the right circumstances. I’d been toying with the idea of publishing my next novel as a series in a big-bang given recent market behaviours, and you’ve told me exactly what changes I need to make to give it a chance to succeed. The very best of luck with that next novel, Julie. Interesting article. I have written books in series using the story of different characters. I have als written short story thrillers that I eventually plan to sell as a box set. I am learning about Facebook ads and need to focus more on marketing. Good luck with the writing – but, you’re right, it’s important not to forget the marketing. I spend almost as much time on marketing as I do on writing. I’ve heard several authors on podcasts say that when they launch a series, they wait 60 to 90 days for the sales of book 1 to start dipping before they launch book 2. Perhaps with novellas the time frame would be shorter, but the principle still applies. Perhaps Peter will try that approach for his next trilogy and compare the results. There is some logic to launching a trilogy over a period of time. However, the advantage of my approach is that you can offer the first book free and use it to drive immediate sales to books two and three. With Amazon’s series marketing feature, it works! Thanks for the information! Very intriguing. Best of luck! And the best of luck to you, too, Garrison! Thanks for a very helpful article. I’ve so far published my trilogies one book at a time, but will adopt Peter’s process for my third one. I also need to look into Amazon’s series marketing feature, of which I was unaware. Peter talks about sending his drafts out to people to read. But does he have an editor, too? I’m sceptical of editors, as my friends use them and end up with a ton of typos, some of them often on page 1. If you’re launching a trilogy in one go, it’s really important to have all the marketing lined up in advance – because you don’t get a second go at the launch. Thanks for this great insight. You´ve inspired me to make a few changes. I hope those changes bring you great success. Thanks for the useful tips about box sets, Christine. I shall try that, too. Defining the story arc for each of the books at the beginning and how they are worked across all three books definitely makes it easier to plan the writing. Choosing to have one book free entices readers to continue reading the other books as they have been gripped by the first storyline and want to see how the adventures continue. Glad you found the article useful, Tim. Good luck with your project, Amy. I hope it works well for you. Me did you consider releasing them either 7 or 30 days apart? I’ve seen both recommended because Amazons algorithm supposed to like it. I am starting Book 3 if my trilogy and still working out how to launch. Always said I wouldn’t pub anything till I had three completed. In nicks course I think he suggests giving two away. Book one as an trader and then Book 2 In return fit their email list- but must admit it hurts to think of doing that!!! The reason I launched the trilogy all at once was so people could get the first book free and immediately buy books two and three using Amazon’s series marketing feature. But there could also be a case for launching the books a days or weeks apart. It takes time to write two free books, as Nick recommends, but the books don’t have to be long. My two are 23,000 and 26,000 words respectively and they work very well. Murder from the Newsdesk on Amazon has had almost 70,000 downloads. Sorry that should have read book one as a teaser. Auto correct! Push!! I’m pleased that this post proved spot on for you! Good luck with the historical series. This is a great opportunity for me, Tracey, to thank you for all the great work you do for cozy mystery writers on the Love Kissed Cozies website. The very best of luck with book one – and books two and three. My advice: outline both of them together so she can see where your end point will be,. Thanks for the great advice and ideas in this article. I’m about to publish book four in one of my series so this is timely as well as informative. Off to check out your books now. I’m pleased you found the post useful. Book four! That’s great! Very helpful and encouraging article, Peter. I must look at how Reader Magnets work! I have two series published on Amazon (paperback and e-book) – Floreskand fantasy (co-written) and the Tana Standish psychic spy novels. I certainly need to up my game to obtain a lot more readers! Good luck with your next series. And Nick, as always you put your all into whatever you do. Thank you. Thank you for being so generous with the details, Peter and Nick. I noticed your trilogy covers are slightly different than the first three books you published. Can you explain that? I was told by my publisher that I should publish only one volume of the series at a time, and not more than 3/ year, so that the literary critics have time to notice each book in their chronicles. That if I publish all at once or each of them sooner, they would pass unnoticed, because it is too much for critics to read and write about, when we are in competition with other thinner books to be written chronicles about. Or may these trends differ from country to country? Because I am not in an English-speaking country.